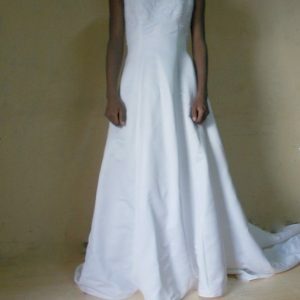 A-line wedding gowns for rent today. Also, browse through our tiara catalog and choose one. The tiara is free.